Written by the Dark Ones, many many years ago, written in blood and bound in human flesh… Necronomicon Ex Mortis. 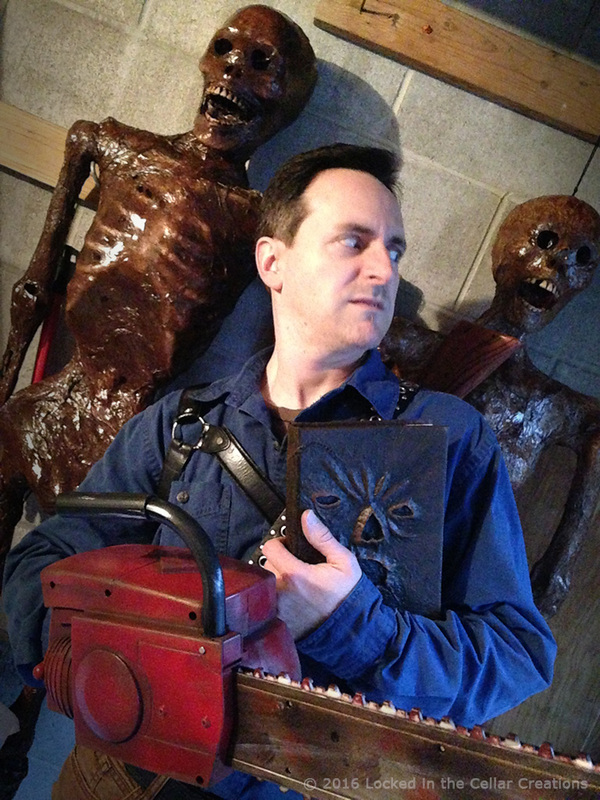 A must have for every demonic library: Necronomicon Ex Mortis. Book of the Dead. The book has the remains of a human face on the front, several hand-stitched scars and even has an ear on the back. It is completely hand-made with much attention to detail. 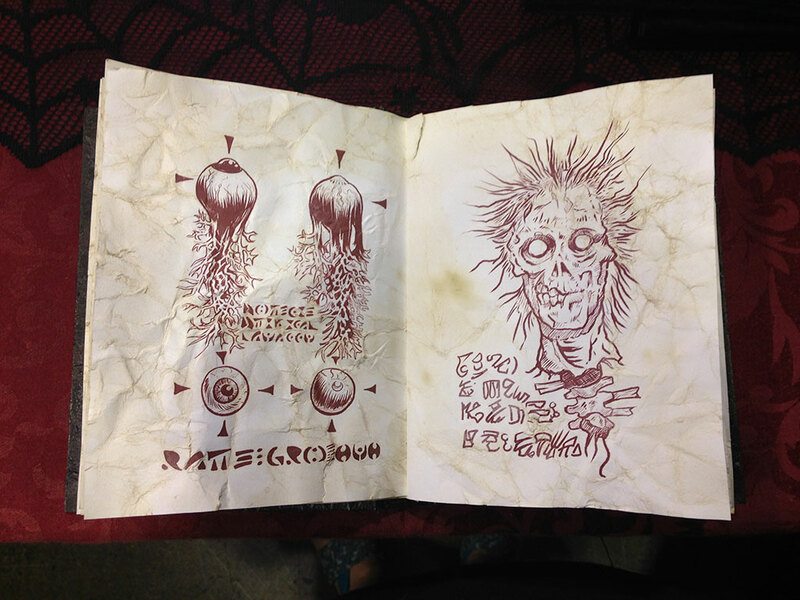 The pages contain demonic artwork inspired by the original movie series and the DVD booklet, and are individually aged to match the atmosphere of the book. Includes ‘missing pages’ mentioned in Ash vs. Evil Dead! 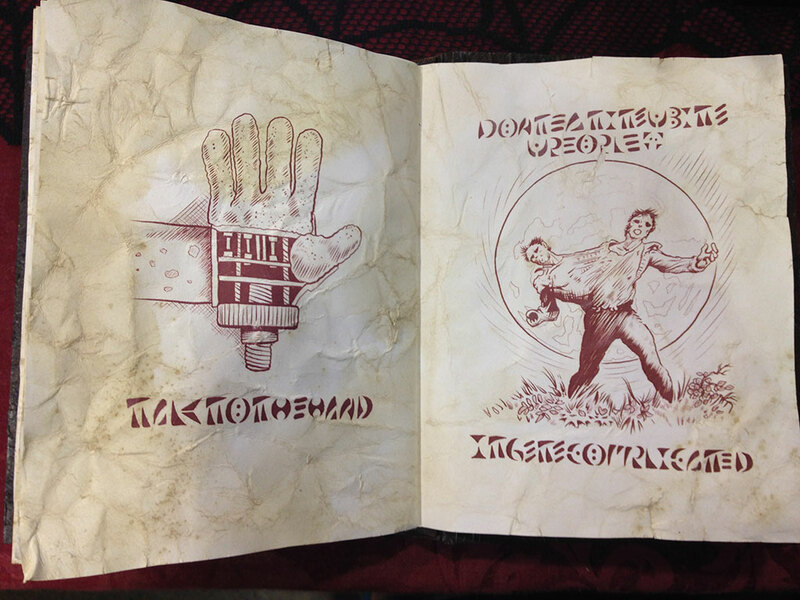 This piece of fan art is inspired by both Evil Dead (2013) and Ash vs. Evil Dead. 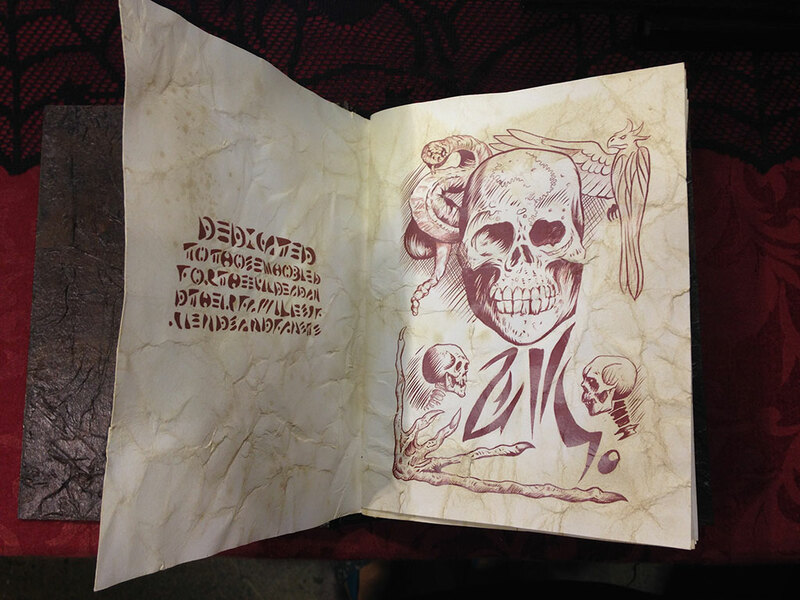 Just received my necronomicon yesterday and it is the most amazing replica of the book of the dead u will EVER find!! I’m so in love with it. It’s worth so much more then what is charged you will NOT be disappointed. “Clatu, Verata, necktie? Nickel….. It was a N word definitely a N word”. my whole world changed upon opening this box. The look, the feel – everything about this book is extraordinary. Other than the crazy demons accidentally summoned via this book, i love it. Honestly though – the book quality is so high quality, and Desiree was such a delight to work with, getting my personalised title page exactly how I wanted it. I would HIGHLY recommend Locked in the Cellar for future purchases. When it arrived, damn, was I not dissapointed! It looks amazing, feels great when hold and adds a lot of spirit to my small book collection. I recently purchased a copy of the Necronomicon. I was not disappointed at all when I opened the package. It looks incredible. Excellent addition to my small but growing horror prop collection. I’m definitely willing to shop with LockedintheCellar again. Oh mama ! i recently purchased a copy of the Necronomicon on Etsy, i receive it fast and it’s actually amazing ! Desirée is very very friendly ! i highly recommand Lockedinthecellar !